Happy Birthday! I am right behind you 1 month from today, and I do agree with many of Jimmy's observations. Man I didn't think I'd live this long! Happy Birthday boss!! Wish you the best! 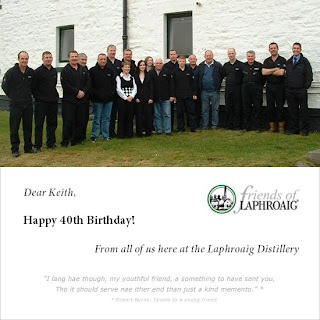 Happy Birthday Keith! It was nice to meet you at Lotusphere; just could never find you again; busy week! thanks guys! and sorry about the sphere, I was everywhere in 3 places at once sometimes. Happy Birthday. Sorry I missed you at LS. Maybe next year.